Registration must be submitted to the IRG Secretariat no later than 15 April 2019 in order to avoid the late registration fee. The IRG50 Local Organising Committee welcomes attendees to Quebec City, Canada for the 50th Annual Meeting of the IRGWP on May 12 through 16, 2019. The IRG50 meeting of the International Research Group on Wood Protection will be held on May 12 to 16, 2019 in Quebec City, Canada at the Fairmont Chateau Frontenac Hotel. 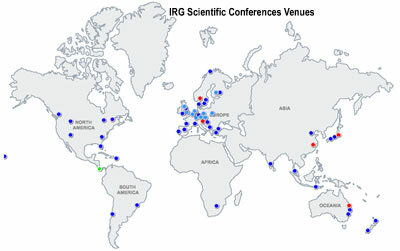 For more information on hotels, and all conference details, please visit the IRG50 website. The IRG50 meeting flyer is available here. The latest update of those who have completed registration to attend the IRG50 meeting is available for viewing or download HERE. The IRG50 Week Program is available for download HERE. The IRG50 detailed day by day program is available to download HERE. It will be updated as new information becomes available. Please note that an abstract + keywords are always required. Papers that do not comply with this requirement will be returned before accepted.